how old is the white garden please, I can fondly remember it in my childhood from 1940 until we moved to Surrey in late 1960, now resident of lovely Gods ZOne. NZ coming back to London in a few weeks for the last trip! Can you get help with Heritage in England? is the Well still in the other part of the Rookery. The white garden was created for the opening of the Rookery gardens in 1913. It has recently not been as fine as it used to be but is being replanted this autumn in order to restore it. Yes, the Well is still in the English Garden. The paddling pool at the top of the common is still in operation but the one by the main road developed serious leaks some years ago and there have never been the funds available to get it back into action. Plans are now being drawn up to upgrade the playground area in which the derelict paddling pool stands. 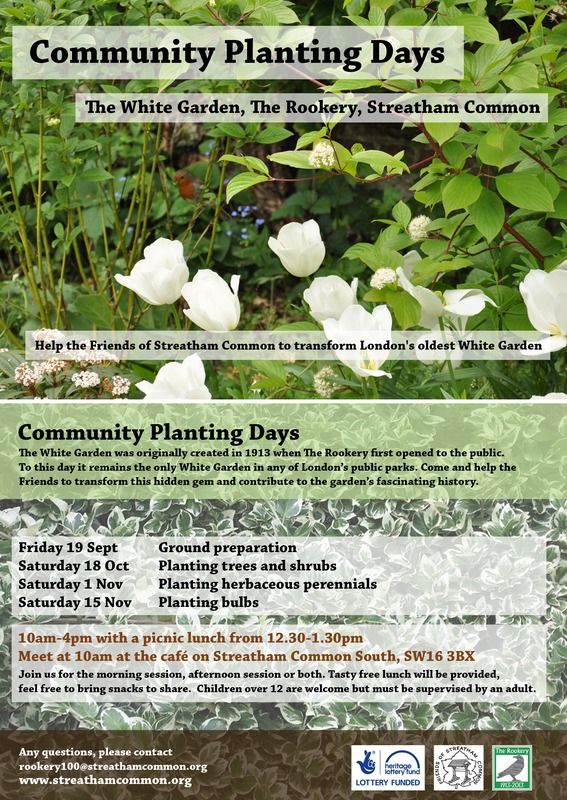 Is there a chance you could jot down some of your memories on Streatham Common in the period that you lived nearby? We frequently publish peoples’ memories of the Common in our newsletter and would gladly include yours.